What does an Occupational Health & Safety Scientist do? We work on ensuring the workplace is safe and healthy in order to prevent people from being injured or developing an occupational illnesses. This career has a lot of variety as there are so many workplaces and occupations out there, each with its own unique hazards and risks. These hazards and risks need to be managed so that employees and the general public are not adversely effected. In order to do this, OHS scientists need to have a sound understanding of the main fields of science (i.e. physics, chemistry and biology) and knowledge of social sciences and psychology in order to deal with all types of workplace hazards. A common saying among OHS professionals is that a good OHS professional cannot sit behind a computer. You are constantly out of the office taking scientific measurements and engaging with stakeholders (mostly to reassure them that they are going to be OK!). As an OHS graduate, you will have the skills and knowledge to work in any industry, this includes manufacturing, mining, consultancy, government or any major company you can think of! (I personally hope to work for NASA one day…). I am an industrial inspector with Workplace Health and Safety Queensland (Department of Treasury), based at Mount Gravatt, Brisbane. This role requires me to investigate complaints and incidents relating to health and safety matters, as well as proactively providing advice and guidance to businesses to improve their OHS. An example of where I have to use my scientific skills is when we get an asbestos complaint/incident. I scientifically monitor and sample for asbestos in the air, analyse it under a microscope, and then provide advice to workplaces and the general public based on my findings utilising my knowledge of human anatomy and physiology. I had been interested in science since year 10 at high school, however I didn’t like the idea of becoming a researcher. I wanted to be out in the field engaging with the public spreading my knowledge and love for science. I discovered the OHS undergraduate course at the UQ open day and immediately decided that this was the course for me. It basically ticked all my boxes, 1) it was a science based role which wasn’t research, 2) it wasn’t an office based job, 3) it had plenty of specialisation and industry variety, and 4) OHS professionals can earn a lot of money (ask any graduate and they will tell you the pay is awesome). I started the undergraduate degree straight after high school. The degree is a four year degree which includes an honours research component. It covers all the physical sciences of biology, physics and chemistry as well as psycho-social, environmental and systematic aspects of OHS. During my studies I was offered an academic scholarship from Workplace Health and Safety Queensland, effectively obtaining employment before I even finished my degree. Upon finishing my degree I started work with the department the very next week. I completed a Bachelor of Occupational Health and Safety Science (Hons) graduating with First Class Honours at the University of Queensland. This degree prepared me for a challenging career of health and safety, constantly engaged with protecting people’s lives at the same time as keeping up with emerging technologies which pose an ever increasing risk. The degree is composed of 2 years of science (i.e. chemistry, physics, biology, physiology, psychology, human anatomy etc.) with the final two years applying this knowledge to an occupational setting. What I enjoy most is the knowledge that I am proactively ensuring everyone can work in a safe and healthy environment, and at the end of the day go home in the same condition they arrived. The fact of the matter is that occupational disease and injury is still a huge concern in our world today, regardless of if you live in a developing country or a developed one. I am still new to the working life in OHS, however, the main highlight of my career would be obtaining an academic scholarship at university. Because the cohort at UQ is so small (I graduate with 3 other people) and the fact that there is such a shortage of skilled OHS professionals out there, large companies were offering scholarships left, right and center in order to gobble us up before another company could. All of us obtained employment either prior to graduation or within a couple of weeks of finishing our degrees, indicating the profession is in high demand. A lot of people interested in a career in science don’t really know what they want to study. I was one of these people in year 12, I had no idea what I wanted to do just that I wanted to follow a career in science. I would recommend studying chemistry at high school, and then choose either biology or physics, if you have chemistry you should be fine with any scientific field. 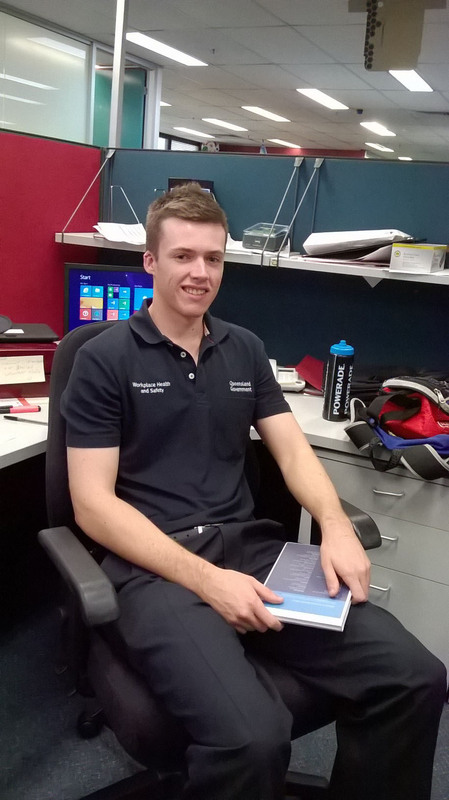 The Bachelor of Occupational Health and Safety Science at UQ is focused on chemistry and biology, so studying them at high school would be a safe bet. While at university, do as much work experience as you can. As mentioned, companies are desperate for skilled OHS professionals. Use this to your advantage and offer your services in OHS to companies to gain practical experience whilst studying. Some of them may even pay you for it. The more experience you get, the more people you meet, increasing your chances of obtaining a better graduate position once you finish your degree.